One of the most common issues amongst dog owners is their pet’s separation anxiety, stress caused by being left alone at home or even when their owner simply leaves a room. 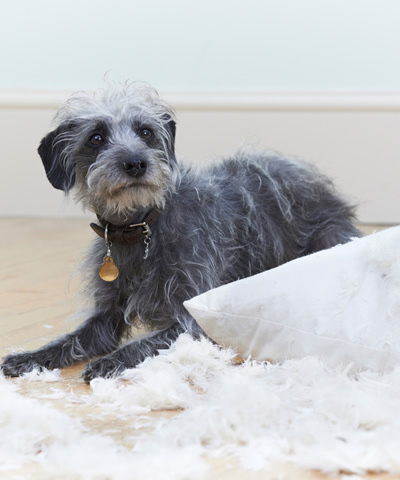 There may be displays of destructive behavior, howling, accidents in the house or even escape attempts, creating an incredible amount of stress for everyone involved as well as the possibility of an injury. Though there is no single clear cut reason as to why dogs develop this behaviour, this workshop seeks to teach owners how to resolve the dog’s anxiety and work to teach them to enjoy, or at the very least, tolerate their time on their own to create a harmonious household. Below is a listing of the current and upcoming Separation Anxiety workshops. Group classes require at least 6 attendees, please bring your dog. The price for each session is $40 (+HST). There are no refunds or make up workshops for not attending.